Palau’s early history is still largely veiled in mystery. Why, how or when people arrived on our beautiful islands is unknown but studies indicate that today’s Palauans are distant relatives of the Malays of Indonesia, Melanesians of New Guinea, and Polynesians. As for the date of their arrival, carbon dating of artefacts for the oldest known village sites on the Rock Islands and the spectacular terraces of Babeldaob place civilization here as early as at least 3,500 BC. The first recorded foreign contact took place in 1783 when the vessel Antelope, under the command of English Captain Henry Wilson, was ship wrecked on a reef near Ulong, a Rock Island located between Koror and Peleliu. With the assistance of Koror’s High Chief Ibedul, Wilson and his men stayed for three months to rebuild his ship. From that time onward, many foreign explorers called on Palau, and the islands were exposed to further European contact. Foreign governance of our islands officially began when Pope Leo XIII asserted Spain’s rights over the Caroline Islands in 1885. Two churches were established and maintained by two Capuchin priests and two brothers, resulting in an introduction of the Roman alphabet and the elimination of inter-village wars. In 1899, Spain sold the Carolines to Germany, which established an organized program to trade the islands’ natural resources. Following Germany’s defeat in WWI, the islands were formally passed to the Japanese under the 1919 Treaty of Versailles. The Japanese influence on the Palauan culture was immense as it shifted the economy and property ownership from the clan to individuals. In 1922, Koror became the administrative center for all Japanese possessions in the South Pacific. The town of Koror was a stylish metropolis with factories, shops, public baths, restaurants and pharmacies. After Japan was defeated in WWII, the Carolines, Marianas and Marshall Islands became United Nations Trust Territories under the United States Administration, with Palau being named one of the six island districts. As part of its mandate, the US was to improve Palau’s infrastructure and educational system in order for it to become a self-sufficient nation. This came about on October 1st, 1994, when Palau gained its independence upon signing of the Compact of Free Association with the United States. Palauan villages were, and still are, traditionally organized around matrilineal clans. Men and women had strictly defined roles. A council of chiefs governed the villages, while a parallel council of women held an advisory role in the control of land, money, and the selection of chiefs. While women were caretakers of their homes and families, they also carried the responsibility of educating their children about Palauan traditions and culture, ensuring the continuity of the village.They also cultivated fields for taro and or tapioca and harvested shellfish from the shallow reefs. The sea was the domain of men who braved its fury to harvest the fish necessary to sustain the village and wage battle. Inter-village wars were common so men spent their time in the men’s meeting halls, or Bai, mastering techniques of canoe building and refining their weaponry skills. Now with modern influences the people of Palau are giving much effort to the preservation of their culture, especially to younger generations. Cultural activities are held regularly, such as the annual Olechotel Belau Fair and twice-monthly Night Markets, which involve Palau’s sixteen states representing their unique qualities through dance, chanting, arts and crafts, specialty dishes, and much more. The Palau Women’s Conference is another important annual event led by Bilung and Ebilreklai, the high ranking traditional matriarchs of Koror and Melekeok, together with the women throughout Palau, The conference is held to discuss issues concerning the improvements and initiatives needed to strengthen Palau’s culture. 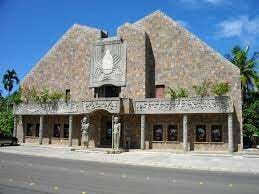 Palau has three museums, the Belau National Museum and Etpison Museum in Koror. 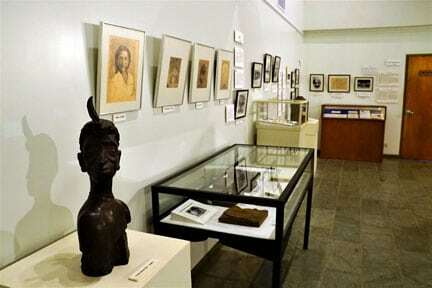 Both have intriquing artefacts and exhibits. 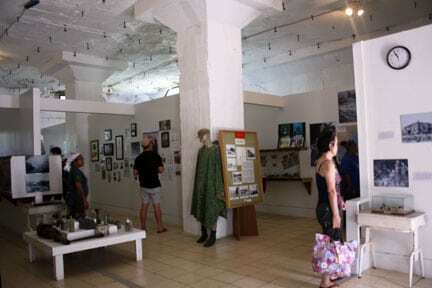 The Peleliu WWII Memorial Museum contains artefacts from the 1944 Battle of Peleliu between US and Japanese forces.